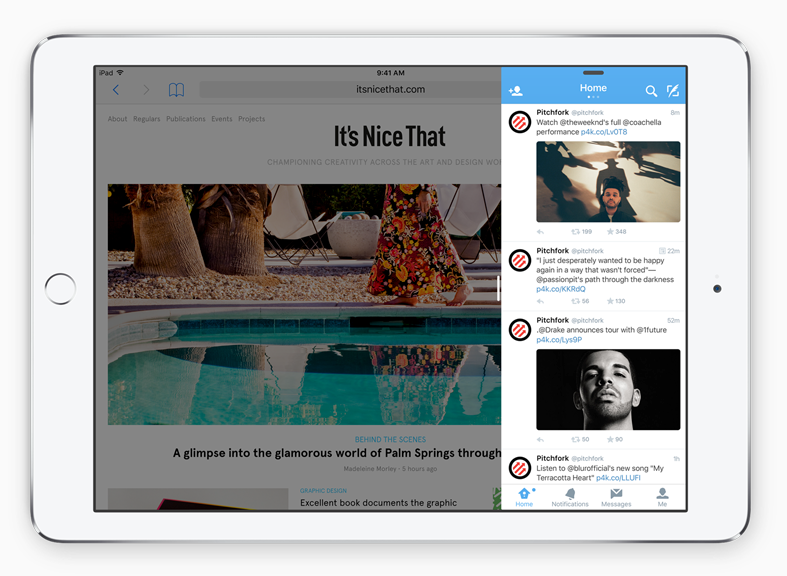 Yes, split-screen multitasking will be coming to the iPad in iOS 9. 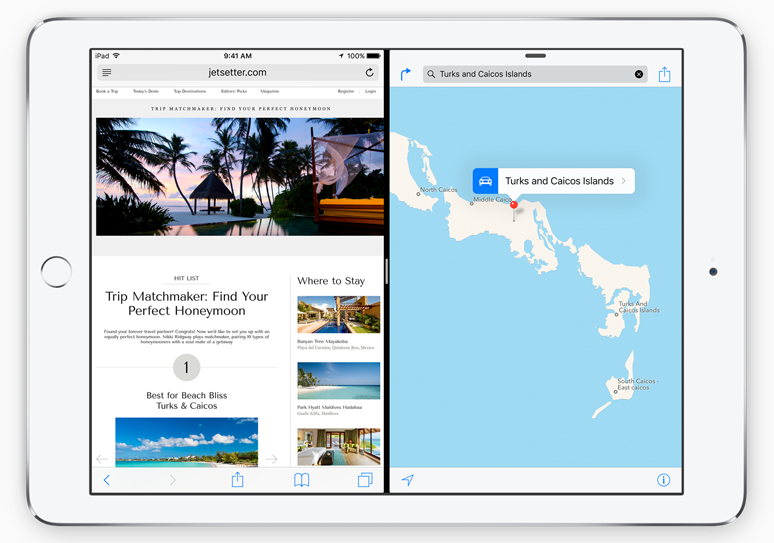 Do more on the big iPad display – in two apps at once. The new iPad Air 2 will support all three of these features. The iPad Air, iPad mini 2 and iPad mini 3 will support Slide Over and Picture in Picture. 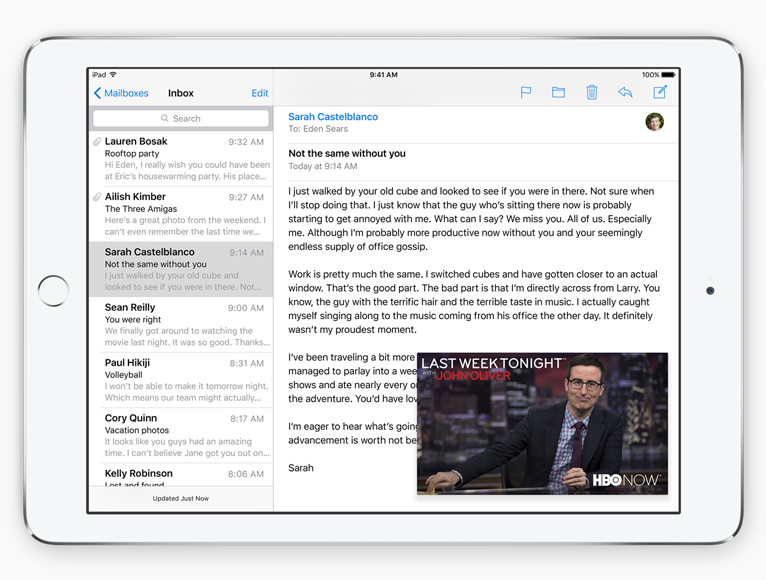 — They lend weight to the iPad Pro / Bigger iPad rumors. — We can now look forward to a barrage of ‘Surface had it first’ posts from Windows tablet fans – all 57 of them. — These all look great – but now we need to see how well, and how smoothly, they work. I’m looking forward – a lot – to testing these out. Or from the countless Samsung fans who have had this feature for years on both the Note Series phones and Tablets…. None of the Samsung split screen options are dumbed down for various Samsung devices like is the case between the iPad Air 2 and the other ipads (smh)….